(Natural News) Patients who take chronic pain medication — otherwise known as opioids — often end up experiencing either one of two things: drug addiction or accidental overdose. Indeed, the negative effects of a dependency on opiates are quite well-known. And now that more opioid prescriptions are being given by doctors compared to even just 10 years ago, it has become a serious problem. However, new research has shown that opioid dependence can lead to other health concerns as well. According to the results of a recent study, patients are 95 percent more likely to suffer from obesity if they regularly take opioids. Not only that, they are also more prone to developing diabetes, stroke, or heart disease. This information comes courtesy of researchers from the University of Newcastle, who analyzed a total of 133,401 people taking drugs for a variety of conditions. From its list of more than 100,000 participants, the researchers isolated 7,423 people who were also taking prescription meds, including opioids, for chronic pain. The participants also gave info on their activity levels, alcohol intake, average hours of sleep per night, and individual smoking status. The researchers found that the patients who were taking opiates alongside drugs for diabetes, heart disease, and stroke were a shocking 95 percent more likely to be obese. These patients were also said to be 82 percent more likely to have a “very high risk” waist circumference, as well as 63 percent more likely to develop high blood pressure. The reason for these increases may be linked to the fact that pain medication can cause sedation, which leads to a reduced desire to exercise. It should also be noted that such drugs have also been linked with insomnia and disturbed night breathing, both of which can lead to an increased risk of obesity. 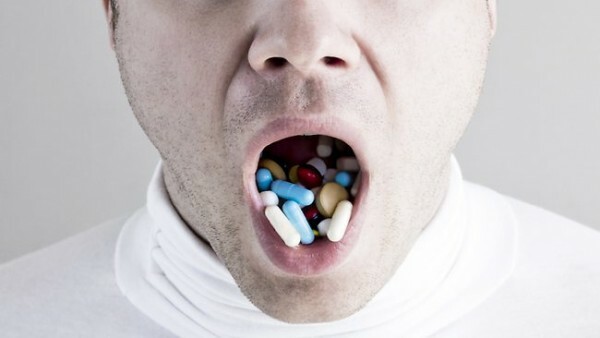 Certain pain medications, such as amitriptyline, gabapentin, and pregabalin are known to affect individual metabolism, which of course leads to weight gain. The study authors note that their results go along quite well with what is already known about the effects of opiates while also giving some new information. To make matter worse for patients who need to take chronic pain medication, drug traffickers, particularly from China, are reportedly producing more potent and more dangerous variations of opioids in order to hook new users harder. Even the European Monitoring Center for Drugs and Drug Addiction (EMCDDA) has said that there is a growing threat from these synthetic opioids. Read more about addiction on Opioids.news.